Geoffrey Block, editor of the fascinating RICHARD RODGERS READER (Oxford) is author of RICHARD RODGERS (Yale University Press), a new biography of the composer for the Yale Broadway Masters series that includes an in-depth analysis of nearly a dozen Rodgers musicals. 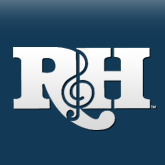 Since the R&H Organization recently took on the role of consultant to Stephen Sondheim's music publishing interests, R&H President Ted Chapin found himself negotiating with his own staff when it came time to clear lyrics for use in his eagerly-awaited chronicle of a Broadway musical in the making. EVERYTHING WAS POSSIBLE: THE BIRTH OF THE MUSICAL FOLLIES (Alfred A. Knopf): in his Foreward to Chapins book Frank Rich wrote, If there has ever been an account of the creation of a major Broadway production as complete candid, and apocrypha-free as this one, I have not found it. Grateful, the heartfelt and inspirational song by Williamson Music's John Bucchino, is now the basis for a new gift book. GRATEFUL A SONG OF GIVING THANKS, illustrated by Anna-Liisa Hakkarainen. and featuring a special CD rendition of the song by Art Garfunkel. published by Harper Collins this fall as part of their newest imprint The Julie Andrews Collection. The life and artistry of legendary Broadway dancer Joan McCracken is the subject of Lisa Jo Sagolla's new biography; THE GIRL WHO FELL DOWN (Northeastern University Press): McCracken, a blazing star of ME AND JULIET, first came to Rodgers and Hammersteins attention as the girl who falls down in Agnes de Mules choreography for OKLAHOMA! There are several biographies of Irving Berlin currently available, but the newest is geared towards a special audience SAY IT WITH MUSIC (Morgan Reynolds) by Nancy Furstinger is for young readers. grades 5-9, as part of the publishing houses Masters of Music series...Jody RosenWHITE CHRISTMAS: THE STORY OF AN AMERICAN SONG (Scribner) has just been reissued in time for the holidays: a perfect gift, advises Kirkus Review, for all who treasure American popular music... Kathleen E. R. Smith's GOD BLESS AMERICA: TIN PAN AlLEY GOES TO WAR (University Press of Kentucky) examines the role of popular song during World War II. detailing Irving Berlins extensive output of morale-boosters and anthems, and Oscar Hammerstein II's role as President of the American Theater Wings Music War Committee."" 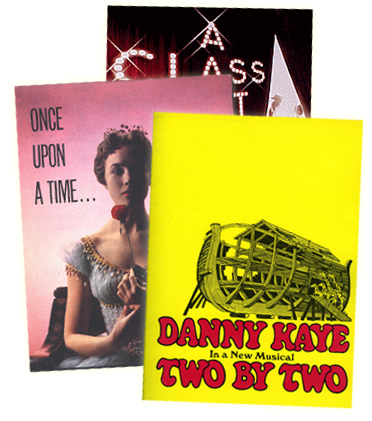 Ethan Mordden's latest decade installment in his non- chronological survey of 20th century musical theatre is the l970's ONE MORE KISS (Palgrave/Macmillan) discusses the Sondheim COMPANY, NIGHT MUSIC, PACIFIC OVERTURES and SWEENEYTODD, as well as RodgersREX and such R&H Theatre library titles as THE GRASS HARP and DR. SELAVYS MAGIC THEATRE. SINGING PROFESSIONALLY (Heinemann) is an invaluable guide for students of voice, written by one who knows Arabella Hong-Young who, as Arabella Hong, created the role of Helen Chao in FLOWER DRUM SONG in 1958 and introduced Love, Look Away...When she was just starting out, fledgling opera singer Shirley Verrett found a patron in Richard Rodgers: when he died, she sang at his memorial, and years later she played Nettie Fowler in the landmark Lincoln Center Theater production of CAROUSEL, delivering an unforgettable rendition of Youll Never Walk Alone, and inspiring the title of her new autobi-ography I NEVER WALKED ALONE (John Wiley). FINDING HOME THE SONGS OF RICKY IAN GORDON (Williamson Music/Hal Leonard) is a new anthology from the gifted songwriter, with more than 20 songs included, and commentary on each one...THE RICHARD RODGERS COLLECTION: SPECIAL COMMEMORATIVE EDITION (Williamson Music/Hal Leonard), due out later this year is the first new Rodgers anthology published in over a dozen years, with plenty of photos and articles, as well as reflections on the 2002 Richard Rodgers Centennial from daughters Mary and Linda Rodgers. Rodgers and Hart make cameo appearances in Stefan Kanfers new biography of Lucille Ball (BALL OF FIRE: Knopf), since it was the during the filming of their musical TOO MANY GIRLS that Lucy met Desi..Rodgers & Hart also appear in Geoffrey Wolffs THE ART OF BURNING BRIDGES A LIFE OF JOHN OHARA (Knopf) that details their PAL JOEY collaboration... And Irving Berlin is the central figure in a charming story told by the late, great Katharine Hepburn to author A. Scott Berg in KATE REMEMBERED (Putnam).